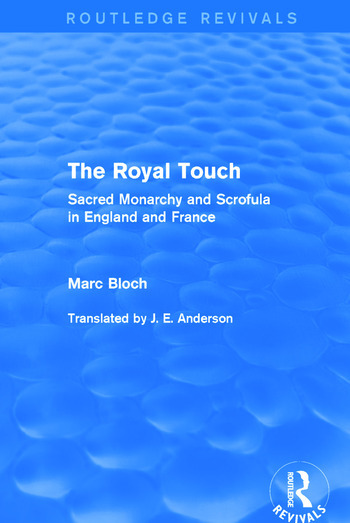 First published in English in 1973, The Royal Touch explores the supernatural character that was long attributed to royal power. Throughout history, both France and England claimed to hold kings with healing powers who, by their touch, could cure people from all strands of society from illness and disease. Indeed, the idea of royalty as something miraculous and sacred was common to the whole of Western Europe. Using the work of both professional scholars and of doctors, this work stands as a contribution to the political history of Europe.